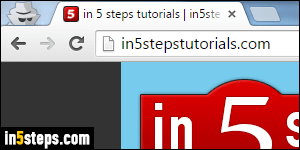 When you browse the web in Google Chrome, it remembers the pages you visited, the last view date, etc. This lets you view your recent browsing history, and allows Chrome to auto-complete search terms and URL suggestions (website addresses) when you start typing in the "omnibox" address bar. 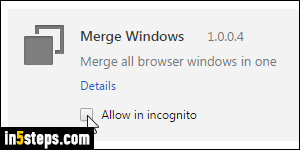 To launch incognito mode, click on the menu button (top right corner), and choose New incognito window. 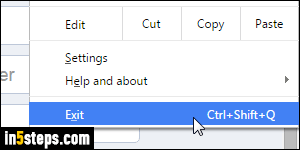 You can also use the Ctrl+Shift+N keyboard shortcut (Windows/Linux), or Cmd+Shift+N on Mac OS X. 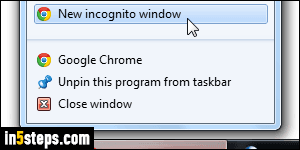 In Windows 7 and later, you can right-click on a Chrome taskbar button, and choose New incognito window in the jump list. 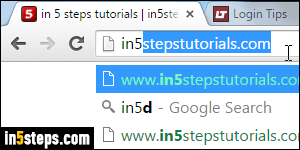 For technical reasons, you can't open an incognito tab in a normal window, or a normal tab in an incognito window. To protect your privacy, Chrome disables all extensions by default in a private browsing session, but you can add exceptions. 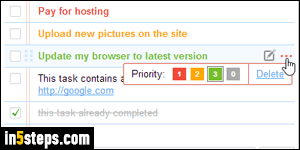 Example of a safe-to-whitelist extension: the best to-do list extension for Chrome only accesses its own items, nothing else. When you install an extension, Chrome will show you the permissions it requires; you can also view these permissions after the fact. you can make Chrome automatically reload your last visited websites when it launches. If you exit Chrome with some incognito windows still open, keep in mind that their tabs will not be restored when you reopen Chrome. Make sure to save or bookmark the sites you're interested in. Private browsing is one way to login to Facebook as a different user, without logging out the main account.